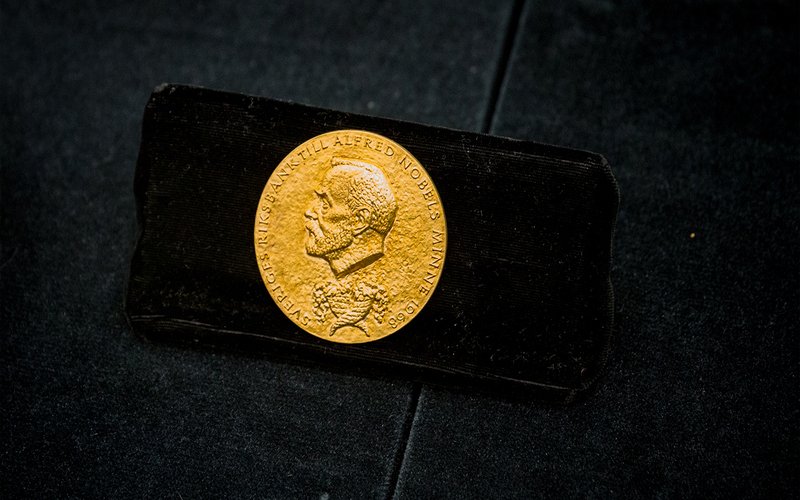 Harry Markowitz’s Nobel Prize Medal. 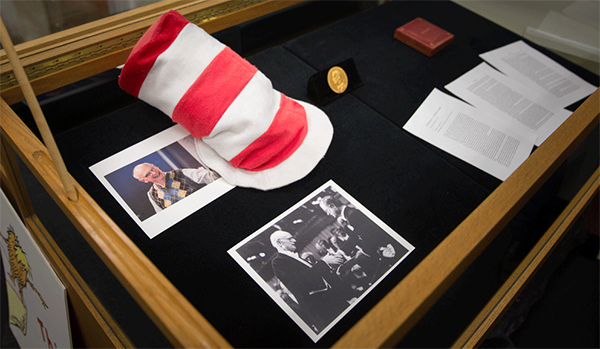 Nobel laureate Harry Markowitz, an adjunct professor at the Rady School of Management at the University of California San Diego, has placed his Sveriges Riksbank Prize in Economic Sciences in Memory of Alfred Nobel (Nobel Prize) in the UC San Diego Library. The medal and the accompanying diploma were gifted by Markowitz to the Rady School of Management in 2016 and placed in the Library’s Special Collections & Archives at an intimate ceremony at Geisel Library in early November. Markowitz was awarded the prize in 1990 by the Swedish Academy for his pioneering work in the theory of financial economics. He was one of the first academics to identify the benefits of adding additional assets to a portfolio and introduced the idea of diversification. His work in understanding risk and how it applies to stock markets was seminal in the development of what became modern portfolio theory. During the ceremony, UC San Diego Chancellor Pradeep K. Khosla talked about UC San Diego’s powerful history in economics and praised the 91-year-old faculty member for his philosophic spirit and his motivation to seek the truth. 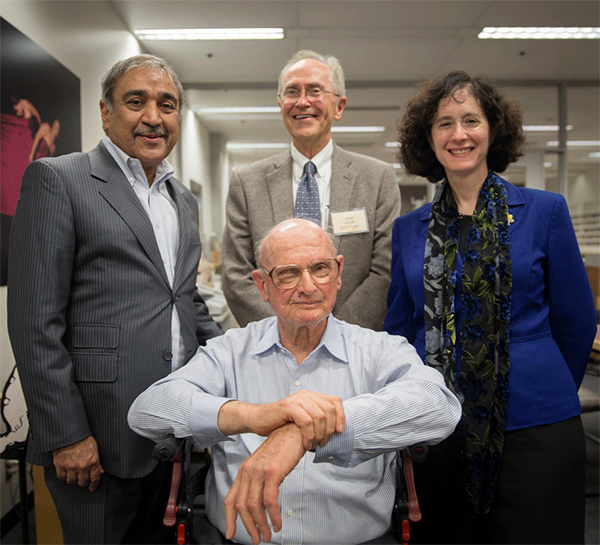 Left to right: Chancellor Pradeep K. Khosla; Rady School of Management Dean Robert Sullivan; Executive Vice Chancellor for Academic Affairs Elizabeth H. Simmons; (center) Nobel Laureate Harry Markowitz. The Nobel Laureate revealed his decision to donate the medal was influenced by his love for the campus and the joy he gets out of teaching at the UC San Diego Rady School of Management. Last year, Markowitz committed a $5.6 million legacy gift to the Rady School. All Markowitz gifts contribute to the Campaign for UC San Diego. Markowitz’s gift joins the distinguished collections housed in Special Collections & Archives which also holds the papers and medals of two other Nobel Laureates including Maria Goeppert Mayer—who was the second woman in history to win the Nobel Prize in physics—and famed chemist Harold Clayton Urey. Markowitz was awarded the prize in 1990 by the Swedish Academy for his pioneering work in the theory of financial economics. Markowitz earned his master’s and doctorate degrees in economics from the University of Chicago in the 1950s. While conducting research for his dissertation, he developed an interest in applying mathematical methods to the stock market. The basic concept of portfolio theory came to him during an afternoon at the library while reading John Burr Williams’ “Theory of Investment Value.” This finding would earn him the Nobel Prize in 1990.